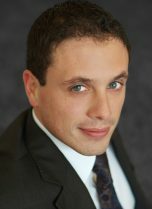 Jean-Alexandre Privesse is a partner at Accuracy. He specialises in transaction support and transformation projects conducted in international environments, with a particular expertise in industry, agri-food and digital sectors, for large corporates and blue-chip PE funds. Prior to joining Accuracy in 2008, Jean-Alexandre gained experience in Transaction Services (KPMG) and in Private Equity (European Capital). In transaction, his experience encompasses a wide range of services, from VDD, BSDD, business plan preparation, valuation, debt structuring, SPA analysis, to closing adjustments. Jean-Alexandre also conducts post-deal projects, leveraging on his expertise in innovative digital solutions, notably for ROCE optimisation or organisations’ efficiency enhancement. Jean-Alexandre speaks French, English and German. Jean-Alexandre has led numerous engagements for blue-chip corporates and PE funds. His expertise covers financial documentation preparation (VDD, BSDD), business plan modelling, decision-making analyses, and, post-transaction transformation projects including digital solutions. He is regularly involved in situations for which an extensive range of financial and business skills is required. Preparation of the Vendor Due Diligence report, Q&A support and cash forecast modelling for the disposal of an European pre-cast concrete producer to a leading private investment firm. Preparation of the Vendor Due Diligence report and Q&A support to a private equity firm in the framework of the disposal. Numerous engagements such as business plan preparation, M&A support with a French based international transport service provider. Numerous buy-side and M&A support engagements performed for a huge leading European conglomerate in construction and other machinery. Creation of a web-based cash forecast tool, performance of ROCE improvement engagements for 10 subsidiaries of a European pre-cast concrete producer in Europe, deployment of the tool in 28 business units. Financial reorganisation of a French insurance company’s division (20% market share in France), with the reorganisation of financial flows and controls, a new setup for roles and responsibilities between actors of the division, the design and the effective deployment of a dedicated web-based tool to support the new organisation. Review of the current and target cost base of a French airline; determination of synergies; follow-up and tracking of actions. Financial reorganisation of an European MNC’s full department concentrating €8bn of flows; diagnosis, reorganisation, design and realisation of a dedicated follow-up tool.